The Coop is legally incorporated, and the Marketplace website is moving along, too. to experiment with website layout, look and feel, and color palette. 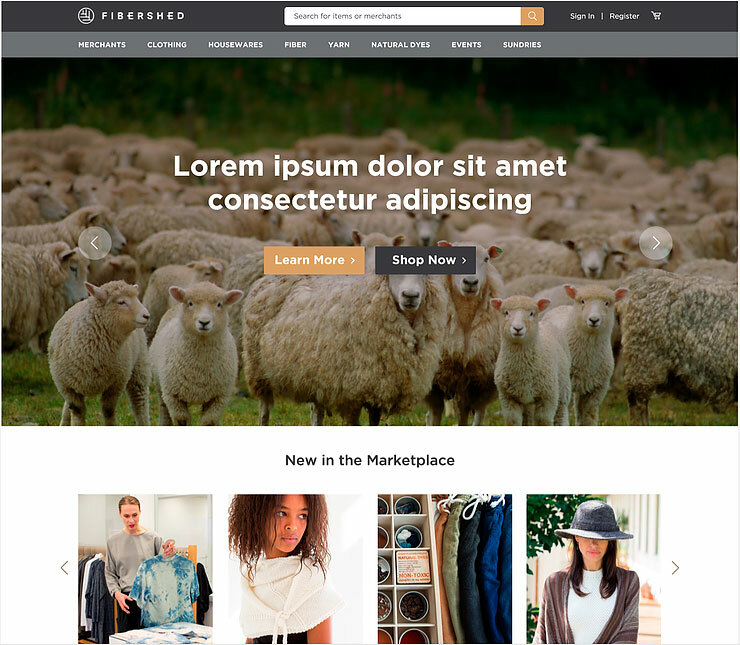 Since late January 2018, we have been hard at work to bring the new Fibershed Marketplace to fruition as soon as possible. We created wireframes (page skeletons); the Marketplace's information architecture, categories, and filters; went through two rounds of visual design with our graphic designer; and back-end coding is underway. We are also creating online training and posts for prospective marketplace vendors, on how to use the site, take attractive photos at home, and so on. to give an idea of what a page would look like if each product has a white background. Pay no attention to dummy text and typos. We want to take a moment to highlight a few website elements and details. First, each seller will have their own, secure login and password, and will see and manage only their own items. 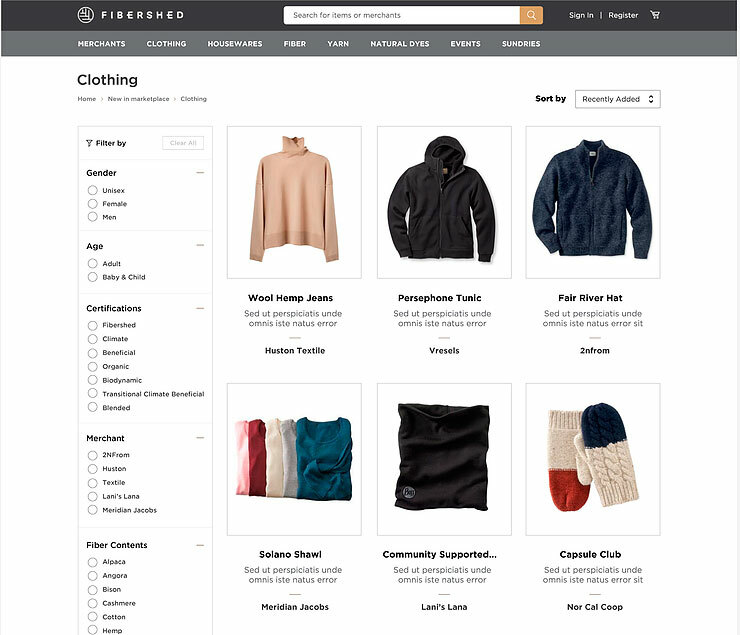 Shoppers will see a unified shopping cart, which means they will be able to put items from different sellers in a single cart, and pay in one transaction. Each seller is immediately notified of their sale, receives the buyer's email, etc. so they can correspond directly with the customer, and ships the item from their own business location. The Coop will not hold inventory in a warehouse or directly handle product fulfillment. The Coop will collect a single payment from shoppers, then pay each Marketplace vendor via monthly check. The online website platform will provide financial summaries, order history, and so on to sellers. The Coop will collect and pay quarterly sales tax to the state of California. The Marketplace website will integrate with a UPS logistics API, which will enable on-farm pick-up. The Coop will pay the monthly fee for this pick-up service, another benefit of membership. We hope this will save our sellers time and mileage by reducing trips to town, especially when single orders come in every day or two, and folks want to ship items out to customers as soon as possible. After the Marketplace website launches, the Coop will provide a lot of support. We'll create brief lessons and how-to videos on how to post items for sale, how to use various elements of the online platform, and so on. We will also hold office hours online and in person to provide hands-on assistance for those who might like a bit more help.